A motorcycle-riding suspect remains at-large. The victim is the second Indian national to be killed following the October 14, 2018, Sta. Misericordia, Sto. Domingo, Albay shooting incident. The wounded body of the victim Jasmail Singh, an Indian national, 27 years old died on the spot after a fellow Indian native who was shot at close range at 12:45 o’ clock in the afternoon today in the vicinity of Purok 5, Barangay Buyuan, Legazpi City. Photo by Legazpi City Police Station. Legazpi City, [11.18.18] – The crime investigators of Legazpi City Police Station is yet to make their breakthrough on their search for clue and motives to the killing of an Indian national who was killed past noon today in Purok 5, Barangay Buyuan, Legazpi City. 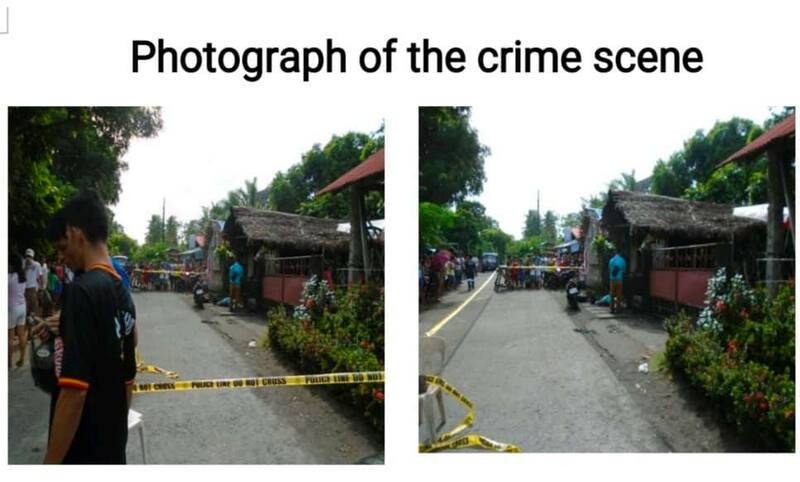 According to Police Senior Inspector Mayvell Barcia Gonzales, the Spokesperson of Albay Police Provincial Office the investigators on the case are still establishing a lead to the crime as the suspect remains unidentified and at-large. The victim Jasmail Singh, Indian national, 27 years old died on the spot after a fellow Indian native shot him at close range at around 12:45 o’ clock in the afternoon today in the vicinity of Purok 5, Barangay Buyuan, Legazpi City, a police report said. A motorcycle-riding suspect who was wearing a bonnet and a helmet immediately fled the crime scene after the incident towards Barangay Bonga, Legazpi City. On October 14, 2018, an Indian national who was identified by police as Kuldeep Singh Gill and is residing in Doña Maria Subdivision, Tagas, Daraga Albay was also shot and killed by still unidentified gunmen along the Diversion Road in Barangay Sta. Misericordia, Sto. Domingo, Albay.